As well as snails, slugs can be found in every garden, and they cause a lot of damage to flowers and crops. Even though commercial pesticides are available, they can be toxic for birds or other wildlife, and they can also become less effective after rain, so the most effective way of preventing an infestation with slugs is by using some alternative, natural methods of control. Non-toxic pesticides are also available, such as diatomaceous earth, however, before beginning a pesticide treatment, you can try and prevent the development of the infestation by being aware of some important facts regarding slugs. The same as snails, slugs are most active at night and on cloudy or foggy days. On sunny days, they seek hiding places out of the heat and bright light. Often the only clues to their presence are their silvery trails and plant damage. During cold weather, they hibernate in the topsoil, and during hot, dry periods, they hide in damp places, under logs or stones. As with all other pests, a good management program relies on a combination of preventive methods. The first step is to eliminate places where they can hide during the day. Boards, stones, debris, weedy areas around tree trunks, leafy branches growing close to the ground, and dense ground covers such as ivy are ideal sheltering spots. It won’t be possible to eliminate some shelters such as low ledges on fences, the undersides of wooden decks, and water meter boxes, so make a regular practice of trapping and removing slugs from these areas. Reducing hiding places allows fewer slugs to survive. The survivors congregate in the remaining shelters, where you can more easily locate and remove them by hand. Switching from sprinkler irrigation to drip irrigation will reduce humidity and moist surfaces, making the habitat less favourable for these pests. Avoid watering your garden in the evening if you have a snail or slug problem. Water in the morning, as the surface soil will be dry by evening. Copper barriers can be useful for protecting especially susceptible plants. Though baits can be part of a management program, it is better to use them in conjunction with other habitat modification, especially in gardens that contain plenty of shelter, food, and moisture. Repellents can also be used in different combinations in order to avoid the development of an infestation. using the same rationale as above, you can buy copper feet and rest your potted plants upon them. Plant selection can greatly affect the difficulty of your battle against these pests. Because they favour seedlings and plants with succulent foliage, you will need to vigilantly protect these. Some plants that can undergo serious damage include basil, beans, cabbage, dahlia, delphinium, hosta, lettuce, marigolds, strawberries, and many other vegetable plants. On the other hand, there are many plants that do resist slug damage, including begonias, California poppy, fuchias, geraniums, impatiens, lantana, nasturtiums, and purple robe cup flower as well as many plants with stiff leaves and highly scented foliage such as wormwood, rue, fennel, anise, lavender, rosemary, and sage. Most ornamental, woody plants, and ornamental grasses also aren’t seriously affected. If you design your landscape using slug resistant plants, you are likely to have very limited damage. Diatomaceous earth can be used against slugs and snails as well. Due to its sharp edges, it lacerates soft-bodied pests, causing them to dehydrate. Sprinkle it around garden beds and plants or mix it with water and spray it on foliage. When the water evaporates, a layer of dust remains on the plants, protecting them from several pests, not only slugs and snails. However, this solution is not a permanent one. DE needs to be reapplied constantly, especially after rain. Like diatomaceous earth, the abrasive surface of lava rock will be avoided by slugs. Lava rock can be used as a barrier around plantings, but should be left mostly above soil level, otherwise dirt or vegetation soon forms a bridge for slugs to cross. You can also use household products such as salt, beer or coffee grounds as repellents. Sprinkling salt or coffee grounds on top of soil will deter the pests away, however, use them with moderation as you do not want to affect the plants as well. Beer is known to attract slugs, so placing a small amount in a jar buried in the soil will cause them to crawl in, get trapped and drawn. Handpicking can also be effective when you are not dealing with a large number of pests. If you do this on a regular basis, you can avoid the development of a possible infestation. You need to choose the best time to do this, which is after dark, as they are nocturnal creatures. You can also water the targeted area in the late afternoon, as to draw them out. After gathering them, you can place the pests in a bucket of soapy or salted water and throw them away after they die. Domesticated fowl, such as ducks, geese, or chickens can be effective snail and slug predators and significantly reduce your problems. Be careful, though, as these birds can also eat seedlings. Slugs have many natural enemies including ground beetles, pathogens, snakes, toads, turtles, and birds, but most are rarely effective enough to provide satisfactory control in the garden. Animals such as hedgehogs, birds, beetles, frogs, and toads are all natural predators of slugs, however, they can become pests themselves, if they gather on your property in a larger number. Be careful when trying to attract them onto your property, as you do not want to have to deal with another type of infestation as well. 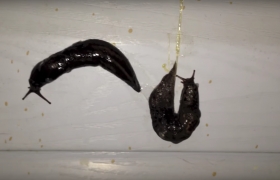 Slugs can be a nuisance especially when they come indoors. They tend to congregate in basements and other moist areas within the structure. They can also climb a vertical surface and even travel upside-down, finding entry points such as the spaces under doors, holes drilled in the floor for water or gas pipes, joints along walls, cut-outs for furnace and dryer ducts and holes for electrical wiring. Make sure exterior doors close properly and seal any cracks you find. Replace missing weather stripping or door sweeps. It may be necessary to use a dehumidifier in a damp basement. Secure crawl space doors to keep them out. Make sure crawl space vents are open to allow circulation and reduce dampness, and follow all these actions with an inspection. The slime trails may lead to the slug hiding places. It may be necessary to go out at night to see where they are coming from. Keep in mind that an older home can be especially attractive to slugs as there are plenty of cracks and crevices and underneath it’s dark, cool and often moist, just the way these pests prefer their environment. Make sure you use different preventive measures as a whole, as just by applying one and ignoring all the other factors that can attract slugs into your garden, will not end in a successful preventive mission. Take into consideration the time of day when it is best to challenge these pests, the natural or chemical factors that affect them and the ways in which you can either repel them from your garden, or prevent their arrival altogether. For more details on how you can eliminate a slug infestation, visit our related article about “How to get rid of slug infestations“. Slugs are shell-less members of the molluscan class Gastropoda. Related to snails, but different due to their lack of shell, slugs can cause the same amount of damage in a garden as snails do. 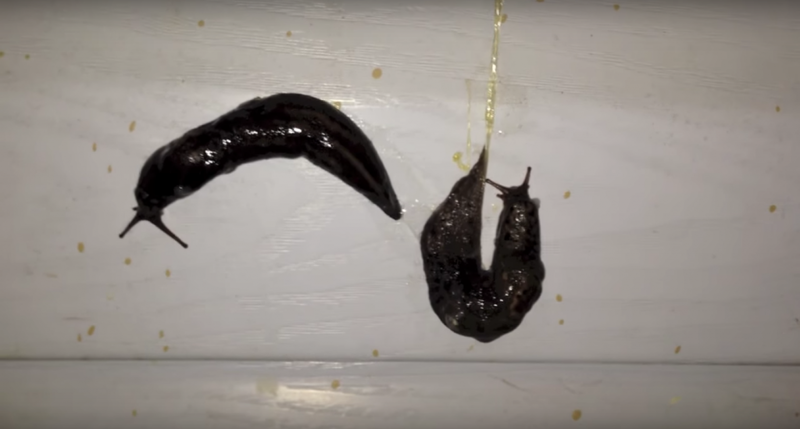 The great majority of slug species are relatively harmless to humans, but some are considered to be great pests in agriculture and horticulture.